Crews are working overtime to get new lifts ready for the winter. 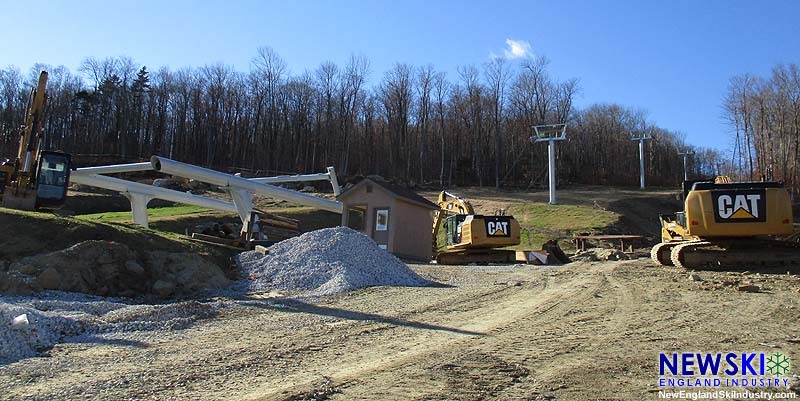 With ski areas awaiting snowmaking opportunities, off season construction projects are in their final stages in Vermont. 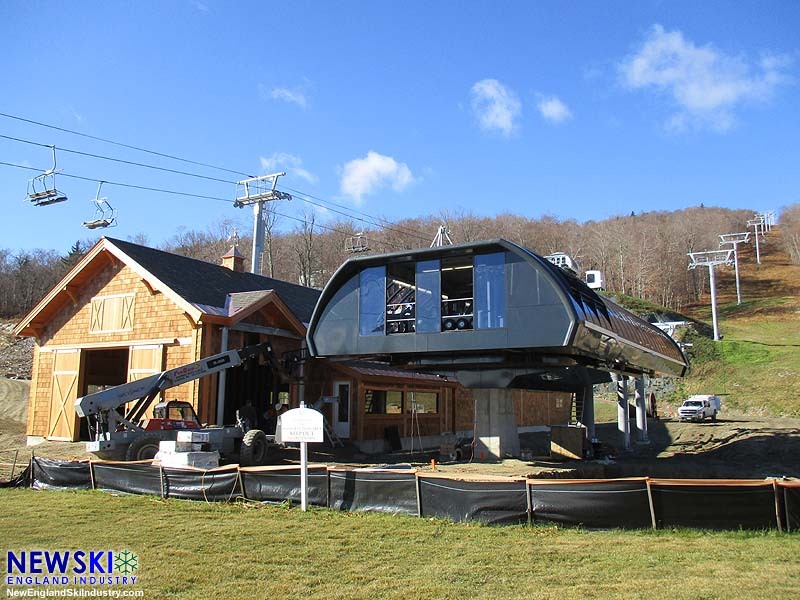 At the private Hermitage Club at Haystack Mountain, Doppelmayr crews are working 7 days a week to complete the installation of the new high speed six person heated bubble chairlift. The base terminal and storage barn have been constructed, but the haul rope has not yet been tensioned. The 5,500 foot long lift will have 88 bubble chairs. 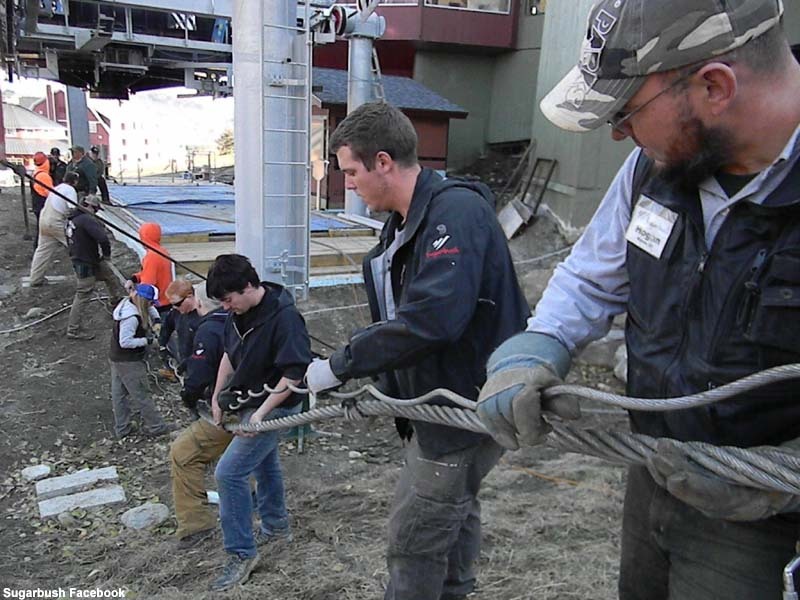 At Okemo, work continues on the new Sunshine Quad, serving the South Face Village area. While towers and terminals are in place, the fixed grip quad's drive has not yet been installed. Meanwhile, work continues on the conversion of the Jackson Gore Quad to the Quantum Four bubble chairlift. At Sugarbush, the Valley House Quad installation is nearing completion, as the haul rope splicing was conducted last week. 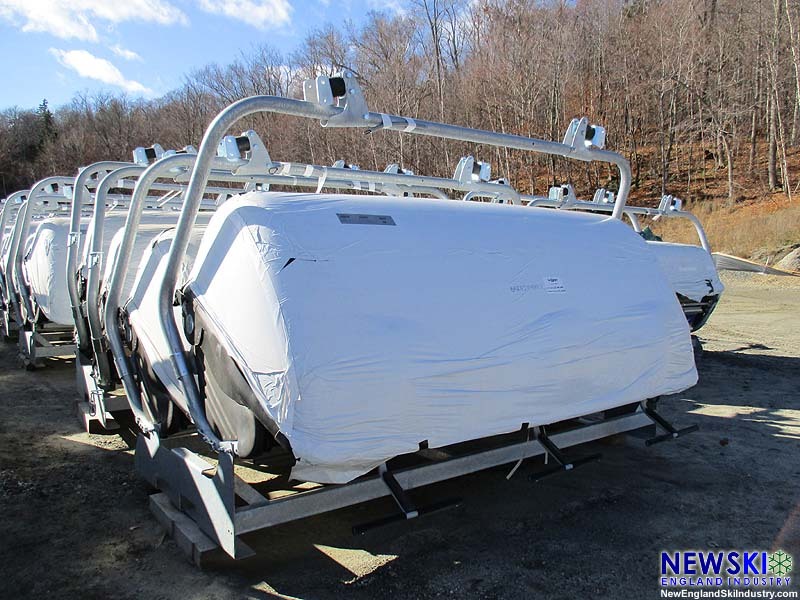 The new fixed-grip-loading-carpet quad chairlift has re-engineered loading and unloading areas. 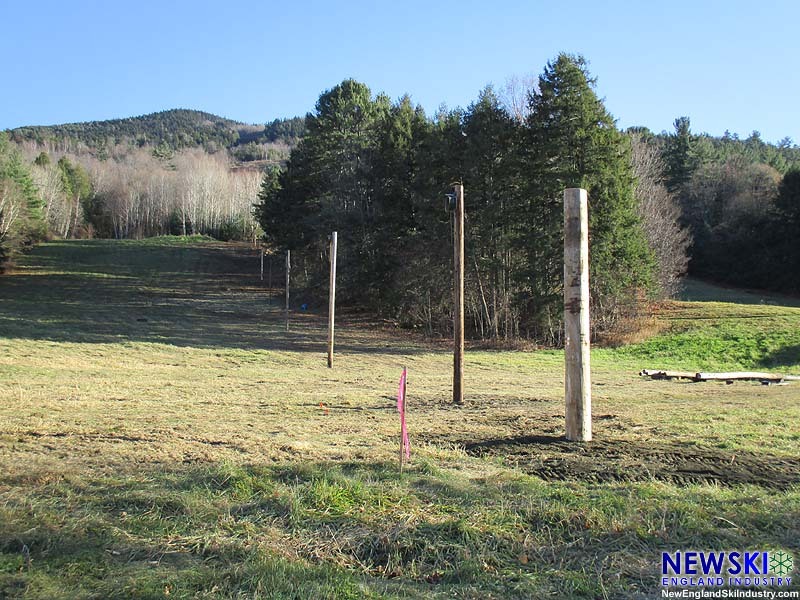 At Ascutney, volunteers were able to install towers for the area's rope tow, which is expected to serve three lower mountain trails for free this winter. 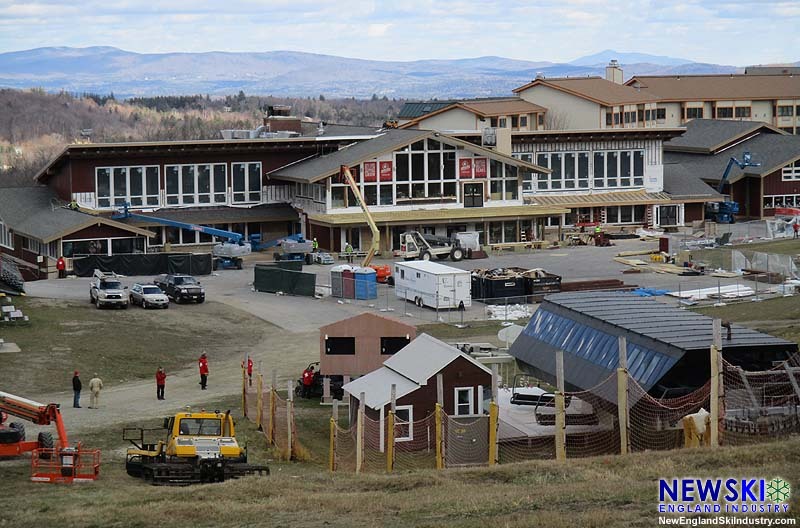 At Stratton, crews are working 7 days a week to complete a major base lodge expansion. The $9 million project is adding 4,000 square feet on new second floor wings.